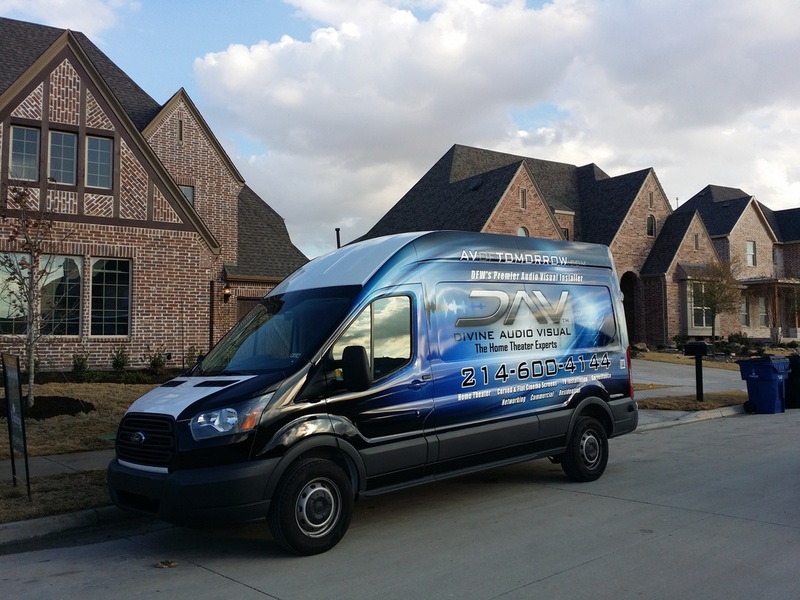 Divine AV is the top Home Theater and TV installer Dallas, TX. We are the elegant choice in home automation and technology services. We offer products and services that are simply not offered by any competing audio visual company. “We can’t even hear the competition™” is more than a bold statement that we are proud to stand behind, it is a fact. Our “Divine Bass system™” is a one of a kind commercial grade subwoofer system that will blow away any high end home theater sub box taking your home theater experience to a level you may have never thought possible. We take pride in providing a total quality experience for each and every one of our clients. We are a family owned business and will always keep it that way. When you become a client with DAV you are part of our family. We want long lasting relationships and lifetime clients. ​Our system replacement warranties are unmatched in the industry. In addition to our superior sound systems we offer the most cutting edge visual and wireless technology on the market today. Divine Audio Visual is reaching new heights and achieving goals other companies have deemed impossible. “We are the audio visual leader of tomorrow’s technology™”. All Content Copyright 2017 by Divine Audio Visual LLC. Serving but not limited to the following areas. 10 years of moving people and changing lives. Product names, logos, pictures displayed on screens in images and brands seen in images are property of their respective owners. All company, product and service names and images used on this website are for identification purposes only. Use of these names, logos, and brands does not imply endorsement by Divine Audio Visual LLC.